Total Metal Products Ltd (TMP) is a small engineering company that specialises in special purpose machine tool design and manufacture. One key area we have been keen to build upon is our in-house CNC toolroom and manufacturing facility as we believe we are beginning to see a lot of manufacturing return to the UK. This is for various reasons including: quality, increasing prices, cost of management and so on. To this end in building TMP from a standing start a little over 3 years ago I have been very keen that the backbone of the engineering is done by engineers with strong practical experience. I think practical experience is crucial, and too often there is a massive disconnect between the grass-roots of the shop floor and the design / management teams. I personally went through a craft apprenticeship with British Aerospace Filton, which was backed up with academic qualifications via BTEC. This has allowed me to start very much from the ground up and learn key skills which either allow me to do a job, or failing that, appreciate what goes into a particular role. TMP needed enough staff to ensure we could support an apprentice with varying skill sets and points of view. TMP needed to secure the help of the relevant training providers. Ultimately TMP needs more staff to grow and what better way than to ‘grow your own’. To this end, we have recruited James as our first engineering apprentice with his training being biased towards CNC manufacturing techniques. He is enrolled at Hereford College for his BTEC level 3, and this is supported by a full year off the job training at a local group training association. This has been funded via the Welsh government's training programme. Semta have been a massive help in sifting through what we need to do and I would recommend them to anyone. My advice to other employers embarking on taking on their own first apprentice would be to remember why you want to do this, and then if you’re not 100% happy with your training provider look for another and don’t give up (and in doing so, let the young person down). 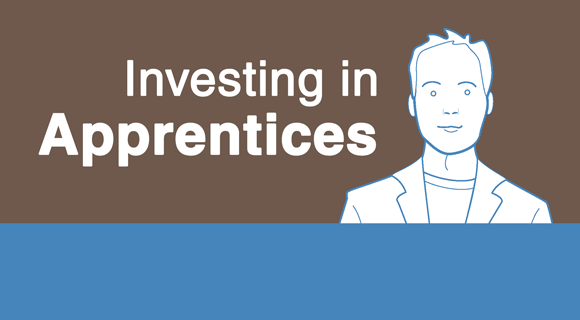 If you are considering an apprentice – do it, most young people do want to learn. We were all young once and luckily someone gave us the opportunity so surely if we can help we should as it will ultimately benefit our companies, our industry and the UK in general.